Maximise your space and budget with a small conservatory – we'll help you realise your dreams by designing the perfect living area, tailored with your small conservatory ideas in mind, plus your choice of a glass or solid roof, style, colour and finishing touches. Limited space doesn't have to limit your imagination! Lack of space doesn’t mean lack of style – we can help bring your small conservatory ideas to life and transform your home. We’ll create a relaxing place to enjoy your garden whatever the weather. Our creative solutions and bespoke designs will make any sized conservatory a stunning addition to your home. Don’t let having a limited amount of space hold you back. We can take your small conservatory ideas and make even the most bijou of living spaces a delightful and practical haven. Choose from classic wood or modern uPVC and we’ll create a custom-made design that maximises the available area and enhances your enjoyment of your home and garden. Our state-of-the-art technology means you can enjoy your conservatory in comfort whatever the weather, while the latest security features will help to keep you safe. To allow your small conservatory to make a big style statement, you can choose a glass or solid roof and add your own finishing touches, including decorative glass and finials. If you already have a small conservatory but are looking to upgrade it into a more useful living space, we can also replace most roof shapes with a modern uPVC, polycarbonate or solid design. Anglian fit more conservatories than anyone in the UK. Choose uPVC in traditional white, popular White Knight, a natural wood effect or use our dual colour option to combine a wood-effect on the outside with a white interior. If you prefer a timber conservatory, you can either enjoy its natural character with one of our durable finishes or let your imagination go wild by selecting from our range of more than 200 colours. Planning permission can be complicated but you need not worry, Anglian will do all of the heavy lifting for you. Not sure if you want a solid roof, a glass roof or a Solaroof? Choose the conservatory roof that fits your home perfectly. Read more about our design service and how we will help you choose the best options for your home. With a reputation built over 50 years, the Benefits of an Anglian Conservatory mean we're with you every step of the way to create your perfect living space. From ordering and design to fast and professional installation, our team of experts offers the highest level of care. In fact, we're so proud of the quality of our work that we guarantee it for complete peace of mind. The British Board of Agrement provides certification on the quality of our products. Windows with a WER rating of A or above can be registered with the Energy Saving Trust. TrustMark is a government endorsed not-for-profit organisation that operates a quality mark framework through more than 30 scheme operators who work in the repair, maintenance and improvement sector. Anglian is a leading member of the Glass and Glazing Federation (GGF). Certifies products made from start to finish in a British factory by British craftspeople. Independent service that deals with disputes between registered businesses and consumers. Our FAQs will help you make the best choices on the design and build of your new Anglian conservatory. What are the benefits of a conservatory? 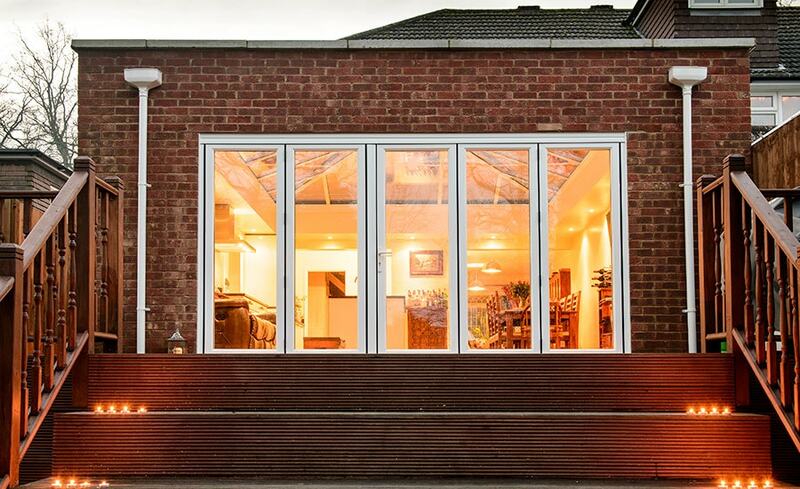 What size conservatory should you choose? Can I upgrade a current conservatory? Read some of the reasons why so many people pick, and then return to, Anglian for their home improvements. We'll use this information to find your local Anglian team. We respect your privacy and do not sell data about your enquiry to third parties. If you want to give your new conservatory a fabulous interior - or even give your whole home a makeover - read our 'Good to be Home' magazine for inspiration. It's packed with ideas on everything from window treatments to storage solutions. 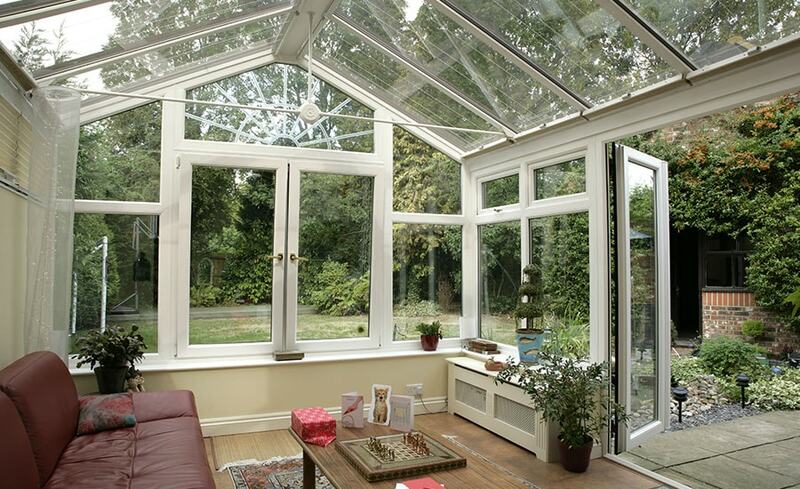 Should you buy a secondhand conservatory?